Senior Technical Group Editor, SP's M.A.I. The Modi Government which completes three years on May 26, 2017, is planning to celebrate their achievements by putting out a report card giving out statistics of their achievements in the last three years of National Democratic Alliance�s (NDA) governance. This analysis aims to highlight some of the important steps taken by the government while noting the challenges facing us in the defence sector and is by no means a comprehensive coverage of the subject. India�s Bharatiya Janata Party (BJP) party won a landmark victory in the country�s general elections. 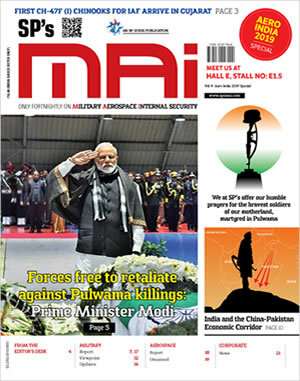 But Prime Minister Narendra Modi inherited from the outgoing United Progressive Alliance (UPA) government a defence ministry besieged by scandal and Armed Forces desperately short of critical assets. The situation was such that as per media reports even ammunition of tanks and artillery guns was in short supply affecting training of personnel and operational preparedness of units and formations for war. A few years prior to the present NDA regime taking over the reins of the government, the country witnessed various scandals such as the Ordnance Factory Board scam, Tatra-BEML military vehicle procurement, VVIP choppers (AgustaWestland Helicopters) and the the Rolls-Royce-HAL kickback scandal. As a result, nine OEMs including four major international companies were blacklisted by the government. Since then through various procurements including import of some categories of ammunition and missiles and streamlining the indigenous manufacture of certain categories of ammunition, the situation has been stabilised. 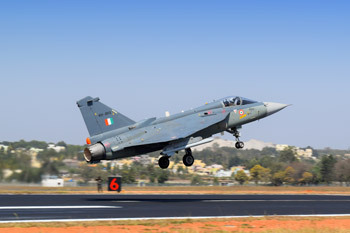 As far back as June 2014 according to the Strategic Defence Intelligence report The Future of the Indian Defence Industry � Market Attractiveness, Competitive Landscape and Forecasts to 2019, the market was expected to grow at a CAGR of 9.83 per cent during the period 2015-19 with a cumulative spending of $241.2 billion. India was expected to present ample business opportunities for OEMs in the areas of multi-role aircraft, training aircraft, infantry fighting vehicles (IFVs), frigates, ballistic missiles, submarines, ammunition, air defence systems, military infrastructure and military rotorcraft among many others. One can say with certainty that while there have been many ideas and plans that have been mooted and deals put into the pipeline covering all three services, however on the ground the situation remains unchanged. While many new systems have been earmarked for procurement in �Buy and Make� category but by the time they are inducted into the combat units another five to 10 years time will elapse. An expert committee under Dhirendra Singh was constituted on May 1, 2015. The Committee was tasked to evolve a policy framework to facilitate �Make in India� in defence manufacturing and align the policy evolved with DPP-2013; and to suggest the requisite amendments in DPP-2013. DPP-2016 was thus formulated with the experience gained by the government in the defence procurement process and the recommendations of the Dhirendra Singh Committee. It came into effect from April 2016. 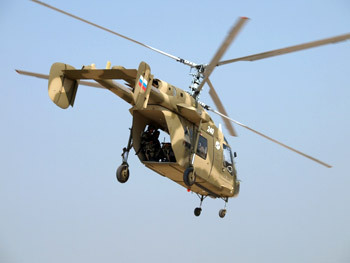 Most of the deals signed recently such as the 145, M777 155mm howitzers, Kamov Ka-226 helicopters, Apache (attack helicopters) AH ID, and Airbus C295 transport aircraft, are under the category �Buy and Make� which means initial procurement of limited quantity in fully formed state, followed by indigenous production through Transfer of Technology (ToT). However none of these deals have fructified on the ground so far and the time frame for realisation of equipment would vary from 5 to 10 years once the initial deliveries start. 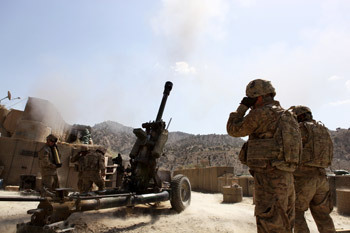 An example can be taken of the M777 155mm howitzer. Two guns have reached India which would be used by the Army for making range tables with indigenous ammunition. The induction will commence from March 2019 onwards. Induction schedule includes five guns per month from March onwards till all 145 are inducted by June 2021. Notwithstanding the delays that have occurred during the UPA regime what is heartening is that the Ministry of Defence (MoD) has started working and reacting to the Services requirements ending the risk averse Antony era lethargy. The functioning of the Defence Ministry has been scam free so far. Breaking new ground, the Defence Acquisition Council (DAC) under the Chairmanship of the Defence Minister Arun Jaitley, on May 20, 2017, finalised the broad contours of a policy aimed at engaging the Indian private sector in the manufacture of high-tech defence equipment in India. The policy, which was developed through extensive stakeholder consultations with Indian industry, envisages the establishment of long-term strategic partnerships with qualified Indian industry majors through a transparent and competitive process wherein the Indian industry partners would tie up with global OEMs to seek technology transfers and manufacturing know-how to set up domestic manufacturing infrastructure and supply chains. The policy will give a boost to the �Make in India� policy in the Defence sector and set Indian industry on the path to acquiring cutting-edge capabilities which will contribute to the building of self-reliance in the vital national security sector. The policy is expected to be implemented in a few selected segments to begin with, namely, fighter aircraft, submarines and armoured vehicles. In future, additional segments may be added. Appropriate institutional mechanisms will be set in place to implement the policy. The government has fulfilled its promise to implement the long-pending OROP scheme for over 21 lakh veterans. The present scheme, however, does not entirely fulfill the recommendations of the Koshiyari Parliamentary Committee which had defined OROP as �One Rank One Pension� (OROP) implies that uniform pension be paid to the Armed Forces Personnel retiring in the same rank with the same length of service irrespective of their date of retirement and any future enhancement in the rates of pension to be automatically passed on to the past pensioners. Hence disgruntlement still remains and the government will have to truthfully and sincerely look into the issue of �uniform pensions� between the old and the new which has not been achieved despite the fact that the NDA Government has done more in this field than any other government in the past. The CDS is vital not only for providing single point military advise to the Cabinet but also to usher in synergy vertically and horizontally between the three Services which is not satisfactory at the moment. Moreover in an era of scarce resources he will have to ensure judicious allocation and utilisation of defence budgets and prioritisation of procurements according to threats and challenges facing the country. He would also ensure organisational reform to achieve closer jointmanship and integration of the three services and to transform the three Services into network-centric warfare (NCW) force capable of undertaking operations in the digitised battlefield of the future. This reform is awaiting the political nod. The beleaguered armed forces were empowered to procure emergency stocks of ammunition and spares to ensure that they could undertake at least 10 days of intense fighting if operations had to be undertaken with our potential adversaries at short notice though the existing policy lays down 30:30 concept which requires the nation to have ammunition stocks equivalent to 30 days intense rates and 30 days normal rates of expenditure. In the recent times the government has to their credit hastened the process of acquiring some of the critical deficiencies of the three services. However they will fructify over the next 5 to 10 years. 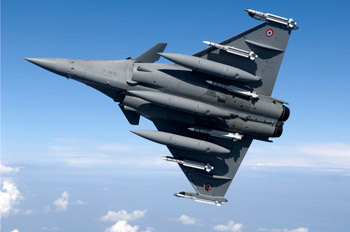 These include government to government deals like the ones for 36 Rafale fighters from France, 145 M777 ultra-light howitzers, and 22 Apache attack and 15 Chinook heavy-lift helicopters from the US. 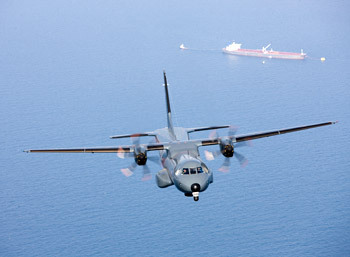 Contract negotiations are also on for procuring 56, Airbus C295 transport aircraft to replace the Avro fleet. The aircraft will be made in India by the Tata group and the requirements may go up due the needs of the Coast Guard and the DRDO who are likely to configure the platform for multi mission maritime roles. In the Indian Army there is an urgent need to induct new assault rifles with night fighting capabilities, carbines, sniper rifles, fourth generation anti-tank guided missiles, air defence guns and missiles; night fighting capability for tanks and infantry combat vehicles, about 3,000 assorted artillery pieces of 155mm calibre; specialised equipment for Special Forces Operations; and last but not the least about 200 light helicopters for observation, reconnaissance and surveillance, and liaison missions. The Indian Navy urgently requires additional submarines, anti-submarine helicopters and helicopters for search and rescue, observation and reconnaissance and liaison. The navy also requires two more aircraft carriers for its operational capabilities on the western and eastern sea board thus totaling the requirement of aircraft carriers to three. Not having a full-time Raksha Mantri at a time when the nexus between China and Pakistan stands fully established and is impacting on India�s security scenario within and at the borders does not augur well for the country. Arun Jaitley, the current Defence Minister, has held dual charge for almost six months in 2014, when the finance ministry was his first priority. Manohar Parrikar took over the charge for a little over two years, and after fully understanding the functionality of the Defence Ministry, he put the procurement process on rails. However with his returning to Goa as Chief Minister, the uncertainty continues. Arun Jaitley who is dual-hatted once again cannot be expected to handle two vital ministries both of which require fulltime attention of its Minister. The NDA government has certainly brought in more dynamism in the defence sector with faster decision making, but this advantage will be lost if we allow the situation to drift as was the case during the UPA regime. The defence and security requirements, in light of the current and future threats and challenges, need to be analysed very carefully by the government taking the help defence experts in the field. The work required to be undertaken in this field is so enormous that delays would be disastrous for national security. Some of the tasks that need to be completed expeditiously are: pragmatic and adequate allocation of defence Budget to ensure the making up of critical deficiencies in each Service at the earliest, modernising the obsolete equipment of all three Services, establishing the post of the CDS/Permanent Chairman COSC, pruning the organisations of each service to weed out the non essentials thus utilising the budget to achieve the required combat edge over the adversaries, and ensuring jointness and integration to improve our war waging potential. The tasks involved place an onerous responsibility on the shoulders of the Defence Minister and hence it is essential that a full time Defence Minister is nominated at the earliest. The author is former Commandant of Army War College, Mhow in Madhya Pradesh, India.